The Norwegian company, which has branches in 12 countries including Scotland and Canada, made NOK637 million (£58.8m) in revenue in Q3 2018, a near-32% rise on the NOK484m (£44.7m) made in Q3 2017, it said in a third-quarter market report. AKVA’s third-quarter EBITDA (operating profit) margin fell year-on-year to 11.1% (Q3 2017: 12.6%), and net profit increased to NOK28m (£2.6m), a NOK2m increase compared to Q3 2017. The group ended the quarter with an order book worth NOK1.1 billion (£101m). AKVA said that despite lower margins its Nordic region continued to experience high activity in the cage-based technology sector and the order pipeline was strong and includes a NOK80m (£7.4m) order signed in October for four feed barges. AKVA group Chile had a Q3 EBITDA of NOK9.6m compared to NOK6m in Q3 2017. Order intake in Chile increased from NOK40m to NOK67m within the cage-based segment. The group’s North America branch had a slow quarter due to timing of deliveries in projects, but also signed a sales and supply contract with Grieg NL for sale of feed barges. AKVA group Australasia performed according to plan with an EBITDA of NOK1m in the quarter. AKVA’s Europe and the Middle East business, run from the AKVA group Scotland office in Inverness, experienced continued high activity in the region in the quarter with a revenue increase of 104% compared to Q3 2017. The company said operations in Turkey, Greece, Spain and Middle East had delivered another quarter according to plan, although no figures were given for the business. “We have established a sound set up in the Mediterranean area and are in a good position to grow as we see pent-up demand for new equipment among the larger farmers,” said the company. Revenues and margins in AKVA’s land-based segment were up year-on-year, although the order intake in Q3 2018 was NOK34m compared to NOK74m in Q3 2017. The company said the low order intake in the quarter was a result of decision on some projects being pushed out in time. In its outlook for the future, AKVA said the land-based segment had gradually got a foothold in the Scottish and Chilean markets in addition to the position in Norway. 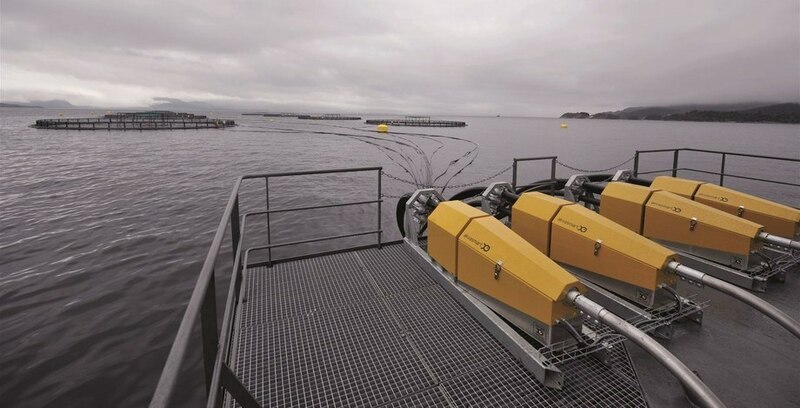 It said that although order intake in the land-based segment is down year-on-year, the potential for additional larger recirculating aquaculture system (RAS) orders is still very strong. AKVA also said it was gaining “significant momentum within the cage-based segment in the growing regions of Canada and Iceland”.